A family friendly fund-raising multi-terrain funrun around Newchurch. Options of a 9km, a 4.5km and a 900m children's run. At Newchurch Primary School we strive to ensure that all our pupils are treated as individuals to promote safe, happy, inspired, supported and successful independent learners. We are very proud of our community which are active, supportive and work in partnership for the best outcomes of the children. 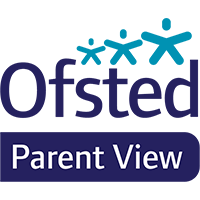 Our expectations of presentation, behaviour, outcomes and pupil achievement are high and, with the help, support and involvement of our parents, our pupils make very good progress and have the best possible start to their education with our Early Years teacher recently being appointed a Lead Foundation Stage Practitioner. Our 2018-19 ‘Mission Possible curriculum’ promotes a thirst to achieve the challenges in lessons with a resilient, motivated and positive approach to our ‘I can’ objectives. Our main aim is to teach ‘the right stuff to the right kids in the right way at the right time!’ and therefore we can be confident that all children will achieve. We offer an extensive extra-curricular and enrichment programme which we believe is integral in the development of enthused, social, tolerant and happy learners. To this end we are extremely proud to receive the Isle of Wight Sporting Primary School Award this year, placed in the top 3 Hampshire ‘Energise Me’ Schools, and our U11 Girls Football Team won the Junior Team of the Year on the Island. If there is anything you would like more information about or you would like to visit, please call in to the school or contact the School Office on 01983 865210. Click on date for further details.